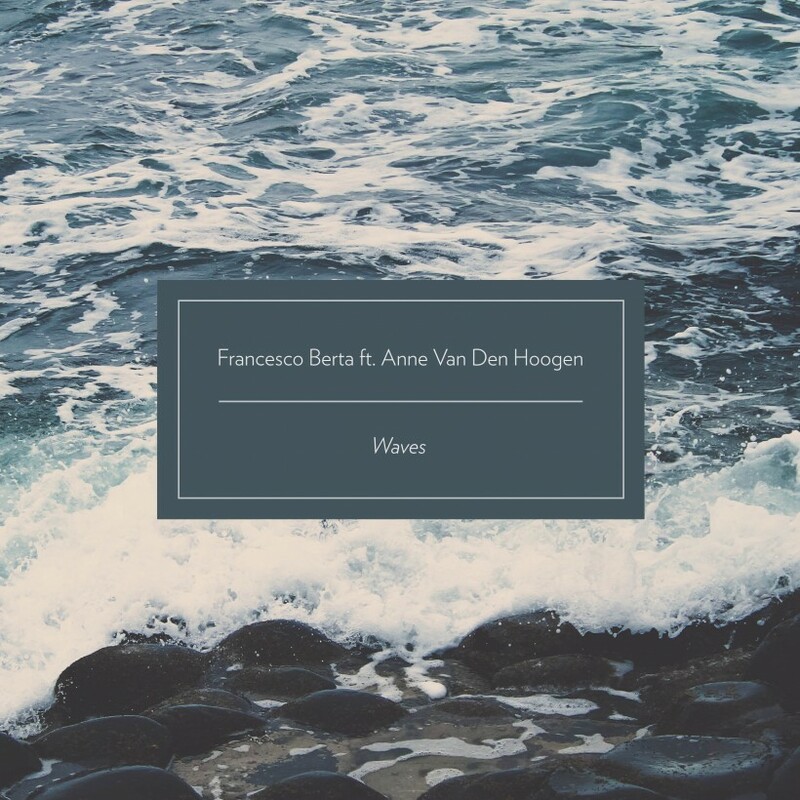 Waves is a beautiful new EP based around a single song that brings together the work of composer & visual artist Francesco Berta and vocalist Anne Van Den Hoogen (Rosemary & Garlic). Originally from Brescia, Italy and now based in London, Berta performed and mixed the music for the title track while Van Den Hoogen wrote and recorded the vocal layers in Amsterdam. The song ‘Waves’ is a gorgeous sonic confection that starts with layers of lush electronics washing like waves over the sound of a human heartbeat. Van Den Hoogen’s heavenly voice floats high above, first giving us the melody and then tenderly singing “Suddenly the heart calms / Suddenly the sea comes / She is taking a bow for you”. The motif of the pulsing heart and ebbing waves remains at the core as the piece sails toward a gentle, but powerful crescendo. The haunting beauty of the song lasts long after the last wave washes into silence. “The video is inspired by the true story of a friend of mine” says Francesco “she’s suffering a form of dissociative disorder. When I told Isaac this story he jumped on board straight on, and he did an amazing job portraying that reality. Also the actors are young but terrific and spontaneous, I’m really satisfied by the overall work”. The EP is rounded out by a trio of remixes of the title track. Jasper Van Den Hoogen offers a beautifully atmospheric take, full of sumptuous ambient textures and subtle downtempo underpinnings. Dead Flies The Crow goes for a bigger sound, an expansive and exuberant IDM treatment with additional spoken voice added. Finally, The Echelon Effect delivers a majestic post rock interpretation which reprises the melody in layers of distorted guitar driven by thunderous percussion.